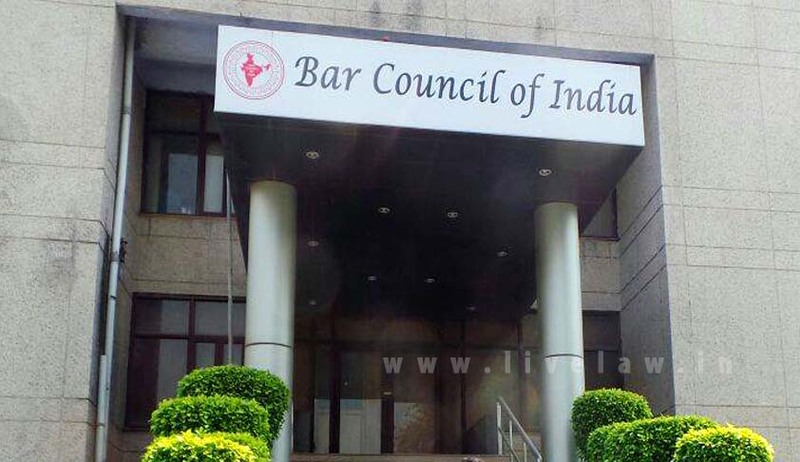 The Bar Council of India (BCI), in its recently-held meetings, has strongly condemned the ‘draconian, anti-lawyer, unconstitutional, un-democratic’ recommendations of the Law Commission of India for proposed amendments to the Advocate’s Act, 1961. The BCI observed that these recommendations of Law Commission were against legal profession and independence of the Bar. The meetings, which were held on Saturday and Sunday, also decided to meet Prime Minister Narendra Modi and Law Minister Arun Jaitley to make them acquainted with the ‘misdeeds’ of the Law Commission. As per recommendation of the Law Commission, the state Bar Councils and Bar Council of India will consist of non-lawyers, including people from other professions like chartered accountants, architects, politicians, doctors etc. Resultantly, the disciplinary proceedings against advocates would be conducted by people not connected with legal profession i.e., handing over the regulation and control of legal profession and legal education over to non-lawyers. In light of the current recommendations of the Law Commission of India, judicial officer has been authorised to cancel even the licence of an advocate on grounds of contempt, serious misconduct or abstention from court functioning. The Law Commission proposed a provision of compensation to clients in case of lawyer’s participation in strikes. Moreover, clients, who have not paid any fees to the lawyer, are also entitled for claim/compensation if the lawyer goes on strike. As per the recommendation of the Law Commission of India, ‘misconduct’ has been defined in a very provocative manner that any judicial officer or client can term the behaviour/ conduct of the lawyer as ‘unlawful, disgraceful or dishonourable’. Hence, a client can easily blame his lost cause on lawyer’s negligence and question his work ethics for losing his case. As per the Law Commission’s recommendation, the definition of misconduct will include criminal breach of trust. Hence, lawyers would not be able practice diligently and discharge their duties fearlessly. Representatives of the state Bar Council will be made aware of the action plan of BCI through a meeting at state Bar Council headquarters on April 16. Country-wide Bar Associations will start a signature campaign demanding the rejection of recommendations of the Law Commission. On April 21, during lunch time, lawyers all over the country will assemble outside the court premises and burn copies of recommendations of the Law Commission and Advocate (Amendment) Bill. Thereafter, they will hand over a memorandum to the Union government through the concerned D.Ms./ Governor. The lawyers will abstain from court works after lunch time on April 22. Protest march in Delhi from Patiala House to Raj Ghat in court dress by lawyers on May 2, in case the recommendations of Law Commission are still not rejected. ‘Jail bharo’ campaign, if the demands of rejecting the recommendations are not accepted even then. Reject recommendation of the Law Commission totally. Provisions of social security for lawyers and family i.e., insurance, medi-claim, pension on retirement, family pension on death of lawyers, stipend to young lawyers etc.